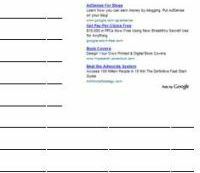 There is trick to add Google AdSense and other ad unit right beside and inside within Blogger post content, so that the ad block will appear wrapped and floated inline to the top left or top right next to the blog text. If you do not like this layout and dislike the prominent location the ads are displayed, there are other places within blog post to put the ad code. The guide below provides tips and tricks on where should the parsed HTML ad code (after replacing several special characters with HTML code) be pasted and inserted in the Blogger XML-based template. In essence, the steps are exactly the same when positioning the ad next to and within post content, except that the text string to search (where to paste the ad code) is different. To recap, go to Blogger Template tab for the blog you want to change, then click on Edit HTML. Remember to expand the widgets, and perform the backup. The ad banner will appear below post title but above and before the start of blog content. It’s actually exactly the same with tip above to wrap AdSense around the post, except that now the ad unit does not float but instead been place at the center without wrapping, and thus pushing content below it. 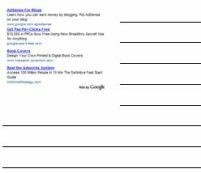 The Google AdSense ad unit or other display ads banner will appear at the bottom of the blog post, after the end of content and just before the ending credits, within inside the post. To center the ads unit, add the wrapper of <center> and </center>. 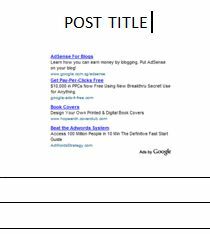 Unlike the above where the ad unit appear before the credit right after post content, this time the ad unit will appear after the credit for the post is displayed. 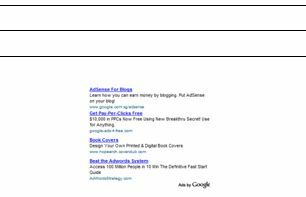 The easiest way to achieve the task is using built-in feature of “Show Ads Between Posts” in Blogger. Turn off and enable the feature will display ads between posts when view in home, index or category pages, and also at the bottom most part when view in single individual post page view. To display ads between posts is pretty much similar to the above where ads appear after post footer. So just follow tips above.